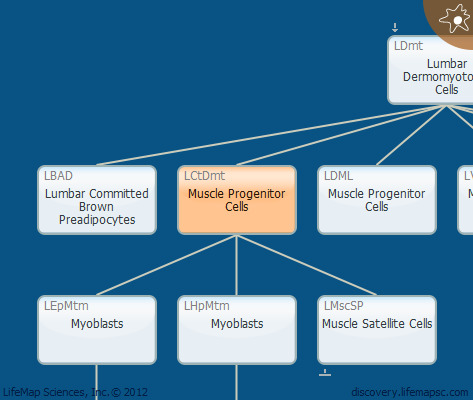 These muscle progenitor cells comprise the central portion of the dermomyotome, they are Pax3+/Pax7+ and undergo epithelio-mesenchymal transtion (EMT). The resulting cells represent a highly proliferative population, where two different types of cell divisions have been described. Planar cell divisions produce daughter cells that accumulate on the basement membrane of the dermomyotome, while apico-basal divisions push the daughter cells ventrally or dorsally to contribute to the myotome or dermis, respectively. Consistent proliferation of these cells assures permanent growth of the skeletal muscles during embryonic and fetal development.